Present state: Demolished - The Said Business School (part of Oxford University) now stands on the site. Notes: The size of Oxford Rewley Road Station was limited by the Sheepwash Channel, a navigable link between the River Thames and the Oxford Canal. A unique two rail swing bridge was constructed to allow trains to cross the channel and enter the station. 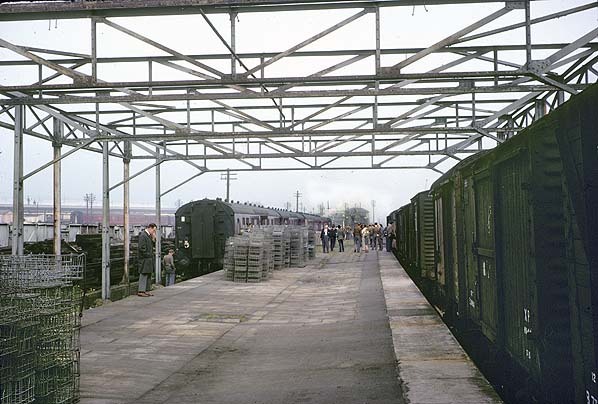 The station consisted of a large island platform with two faces covered by a substantial trainshed. 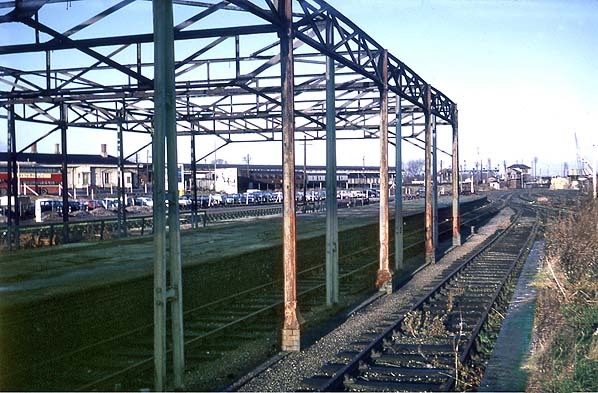 There were carriage sidings on the west side and a loading dock and horse box siding on the east side with an engine shed on the north side of the Sheepwash Channel. 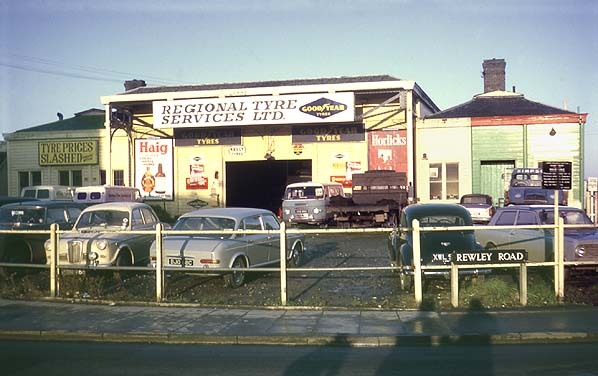 Rewley Road Station survived for many years after closure, it was used as an engineman's hostel, a tyre and exhaust centre and latterly as a car rental establishment before falling into decay. Plans by Oxford University to build its new Business School on the site resulted in the move of this unique structure to the Buckinghamshire Railway Centre at Quainton Road Station north of Aylesbury. With generous assistance from the University work began in January 1999 on the task of dismantling and coding the many parts. Re-erection commenced in August following refurbishment and replacement of badly damaged parts with completion in November 2000. 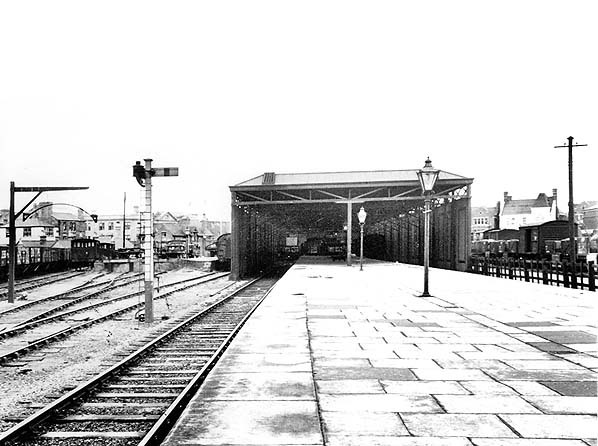 Parts of the station including the original carriage entrance had however been demolished and lost following closure. The Heritage Lottery Fund was approached and awarded a generous grant to enable the missing parts to be constructed using original plans. The completed Station and Visitor Centre were formally opened in April 2002. 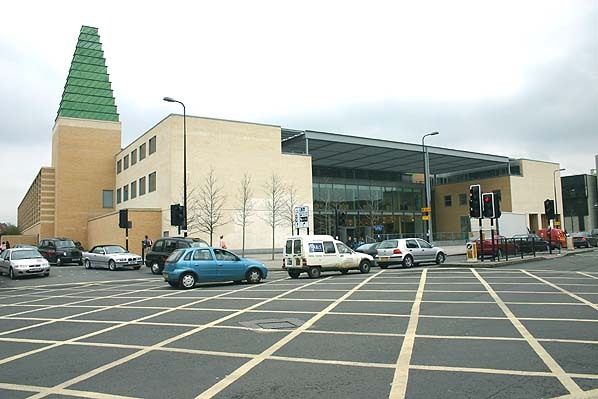 The site of Rewley Road Station is now occupied by Oxford University's Said Business School. The sidings and goods shed to the north of the Sheepwash Channel have also been cleared and the site is now occupied by a new housing development. 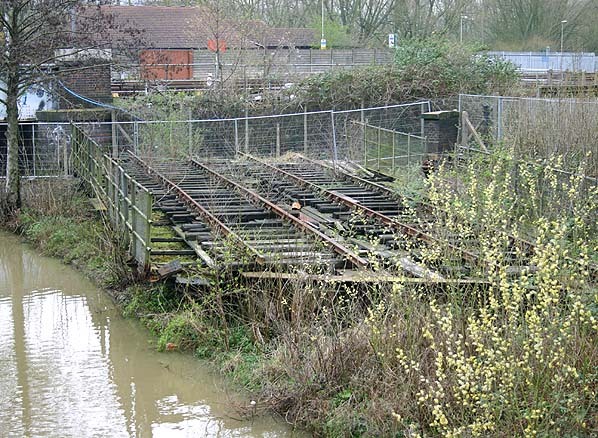 The two rail swing bridge survives although in a very dilapidated condition. The two rails are still in place although the timber decking and timber sleepers are rotting badly, The bridge is (in 2005) surrounded by a temporary contractors fence. An interpretation board on the Business School garden wall shows the swing bridge which is now a listed structure which suggests that it might at some point be restored. 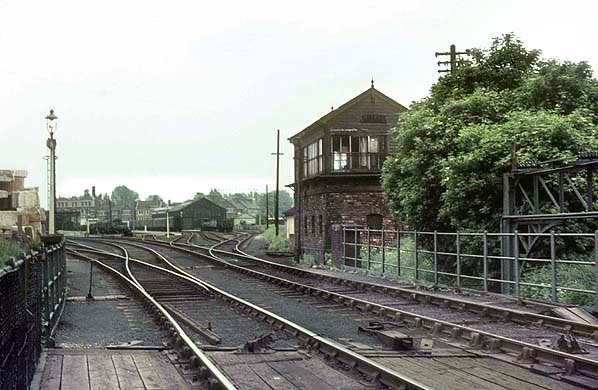 The interpretation board depicts Rewley Abbey but although the swing bridge is shown there is no mention of the station which later stood on the site! 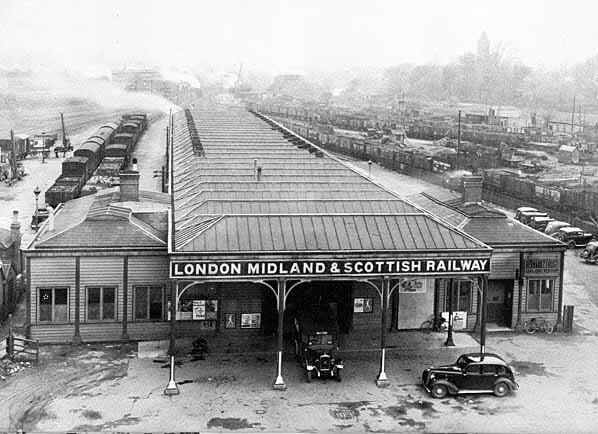 In 1905 steam railmotors were introduced between Oxford and Bicester to attract new commuters from the growing suburbs around Oxford. These were later supplemented by the 'Michelin', a prototype petrol railmotor. 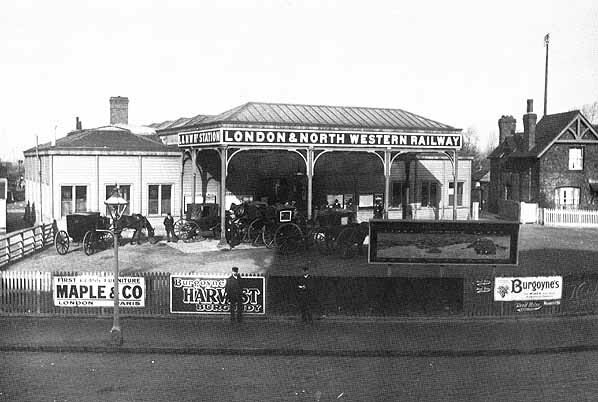 At the same time six new halts were built between Oxford and Biscester at Summertown, Wolvercote, Oxford Road, Oddington, Charlton and Wendlebury; they were all unstaffed with tickets being sold by the conductor. The six halts were withdrawn from service during WW1 (1.1.1917) and reinstated after the war (5.5.1919). The service was once again withdrawn in 1926 during the General Strike and with the introduction of new bus services never reinstated. A 'Micheline' petrol railmotor was later used. 1899 1:2,500 OS map shows the GWR through station with the LNWR terminus alongside. 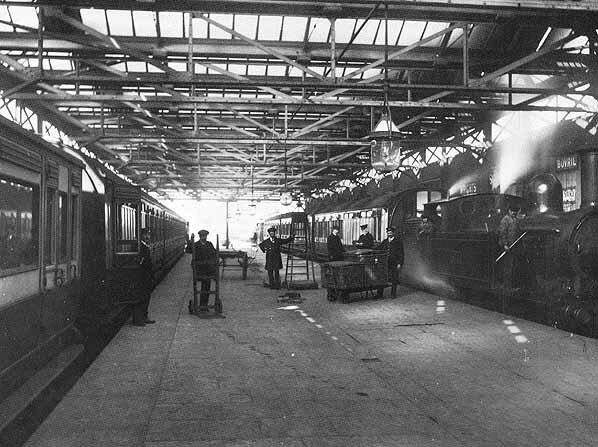 Oxford Rewley Road station looking south towards the buffers c1950. The Railway Enthusiasts' Club The Chiltern 200 railtour at Oxford Rewley Road station pn 14 September 1963. The tour started at Oxford and ran to Chinnor via Verney Junction and Princes Risborogh returning to Oxford via Thame. bridge is seen in the 2005 picture below. 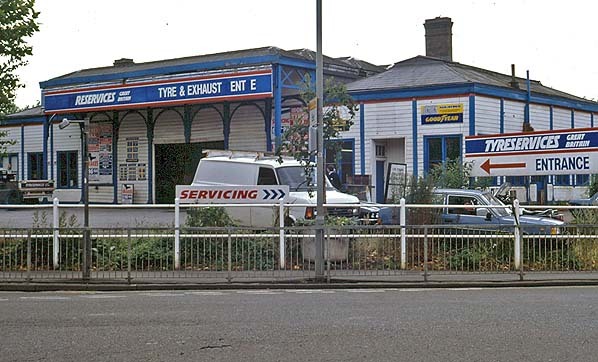 Exterior view of Oxford Rewley Road station in July 1994, four years before the station was dismantled.